We understand that sometimes it can be difficult paying your bills. If you are finding it hard to pay your water and sewerage bill, there are a few ways we can help you. water conservation and efficiency advice. If you are experiencing difficulty paying your bill, please contact us as soon as possible to discuss how we can assist you with managing your account. If you need more time to pay your bill, we can help. Complete a payment extension form to request an additional 30 days to pay (i.e. payment will be due 30 days from the latest bill’s due date) without incurring any fees or interest charges. You will receive an email within 2 business days to confirm your new payment due date. If you require a longer period to pay or would like to speak to someone about a personalised short or long-term payment arrangement, please contact us on 13 26 57 between 7am and 7pm weekdays. Our Financial Hardship Policy (PDF) provides further information of some options available to customers. 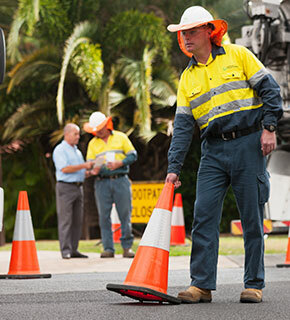 Please note: Customers already in a personalised debt management arrangement or Commercial Customers with a dedicated Account Manager can contact your Queensland Urban Utilities representative directly. You can contact us on13 26 57 between 7am and 7pm weekdays. Customers facing financial difficulties, or their representatives, may be directed to our specialist team who will be able to provide assistance. complete and return a signed Authority to act form (PDF) if you wish for your representative to discuss your account while you are not present. be treated respectfully, sensitively and confidentially. have your case considered individually by one of our trained representatives. be offered realistic and affordable payment options. relief from legal action, and additional debt recovery costs as well as halting the application of interest to the arrears amount provided that you meet the terms of any agreed payment plan with us. be provided with information to assist in reducing water and sewerage costs. receive information about relevant government water subsidies and financial counselling services. Our Financial Hardship Policy (PDF)provides the framework to support our customers when they are experiencing financial hardship and difficulty in paying their water and sewerage bills.